Frederick W. Tamblyn was born on a farm in western Kansas in 1870. At the age of sixteen, he gained his first start in penmanship under the instruction of Mr. Goss, an itinerant writing teacher. The gracefulness and beauty of the writing fascinated young Tamblyn, and he was filled with a determination that would allow nothing to prevent his progress in mastering the techniques of ornamental penmanship. 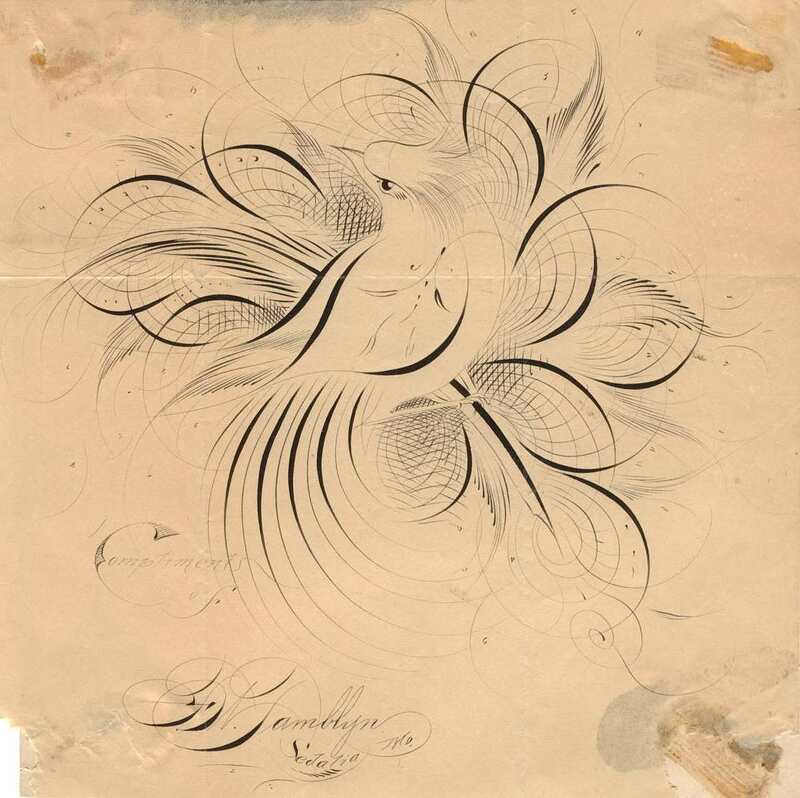 He learned a great deal while studying on his own, scanning the pages of such penmanship magazines as Gaskell's Guide, The Western Penman and the Penman's Art Journal. After graduating from High School in Paola, Kansas, he attended and subsequently graduated from the Central Business College at Sedalia, Missouri. Here he remained for five years as a member of the faculty. In 1894, after an experience as an itinerant teacher, he spent some time in engrossing and teaching in St. Louis, and in 1897, located permanently in Kansas City, Missouri. For forty years Mr. Tamblyn conducted business there, turning out exceptional work in engrossing, card writing, and most significantly lessons by mail. In this last category he was a pioneer, establishing himself as the leader in correspondence courses for nearly two generations. 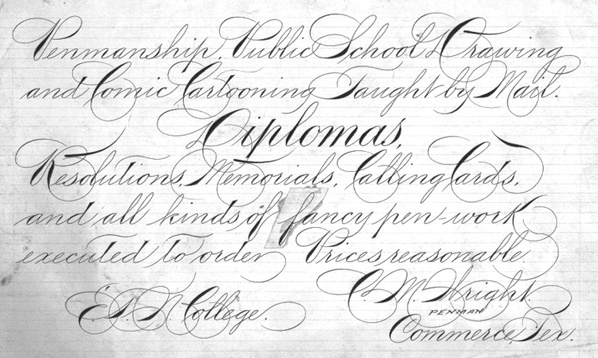 He was a very successful and most inspiring teacher, who strove to impress upon his students the necessity of faithful application that was paramount to achieving proficiency in penmanship. At the time of his death on February 16, 1947, it was estimated that he had trained over 40,000 men and women in penmanship through his "lessons by mail."